180.4 ha (445 acres) of undulating traprock 60 kms west of Tenterfield and 40 kms west of Deepwater. 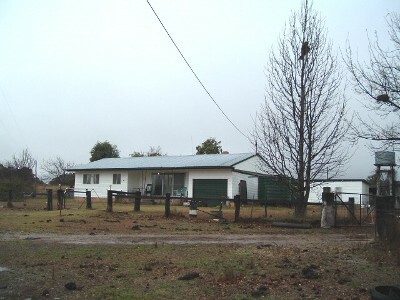 The property is on one freehold title divided into 2 paddocks. It has a carrying capacity of 135 dse, an average rainfall of 28" pa, 2 dams and 5 water tanks.Improvements include a 2 bedroom house with a 2 bedroom detached building, a 2 stand shearing shed, cattle yards and sheep yards. Mail service twice weekly.